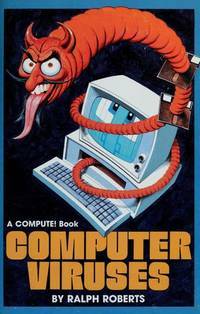 Mooresville, IN: Scientific Software, 1984. 4th Edition; Printing of Jan, 1986. Text/BRAND NEW. Illustrated soft cover/NF w/faint creasing to lower front corner & back. Manual/Guide to Version VI of LISREL, a general computer program first introduced 1973 for estimating unknow coefficients in a set of linear structural equations. This manual is in 5 parts: I, General Description of Models & Methods; II, Detailed Instructions for the Problem Run; III, Examples & Exercises; IV, Analysis of Discrete Variables; and, V, Multi-Sample Analysis.. 4th Edition, Printing of 1986. Soft Cover/Spiral. Fine/None as Issued. New York, NY: Barnes & Noble/Harper & Row, 1983. Text/BRAND NEW. Illustrated soft cover/NF. Tape residue to lower corner of front cover verso. An introduction to how computers, how to use the personal computer, how to program in BASIC. Written when WordStar and Visical (sic?) reigned and many wrote their own programs. Fine copy, and still a good introduction to the guts of computers.. First Edition, First Thus. Soft Cover. Near Fine/None as Issued. Taipeh, Taiwan: Science Research Associates, 1975. Text/As New. Linen boards/VG. DJ/None. PO name to fEP & title page. ISBN supplied is that of Macmillian hardback printing of 1975. Textbook. 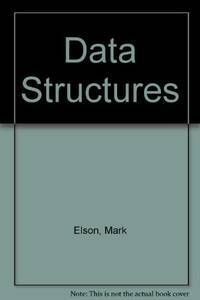 9 chapters: 1, Static Structures; 2, Semistatic Structures; 3, Dynamic Structure; 4, LISP: List-Processing Language; 5, Storage Management; 6, Strings; 7, SNOBO: A String-Processing Language; 8, Data Sorting; and, 9, Data Searchings. Answers to selected exercises at rear. Strong copy.. Reprint. Hard Cover. Very Good/No Jacket. Greensboro, NC: Compute! Books, 1988. Tex/BRAND NEW & Bright. Soft cover/NF w/light edge & surface rubs. Monograph on computer viruses. Sketch of infamous ones in the past, types of viruses, how they are transmitted, and what one can do. Written two decades ago, also a historical repository of ancient patterns of "hacking".. First Edition, First Printing. Paperback. Collectible - Near Fine/None as Issued. First Edition, First Printing.